Viewer engagement is an extremely important driver for growing an SVOD-related business. Discover the specifics of SVOD engagement and what factors can affect it. In today’s hyper-connected digital world, choice and flexibility reign supreme. If you want to get results in the world of visual entertainment, engagement is the key. 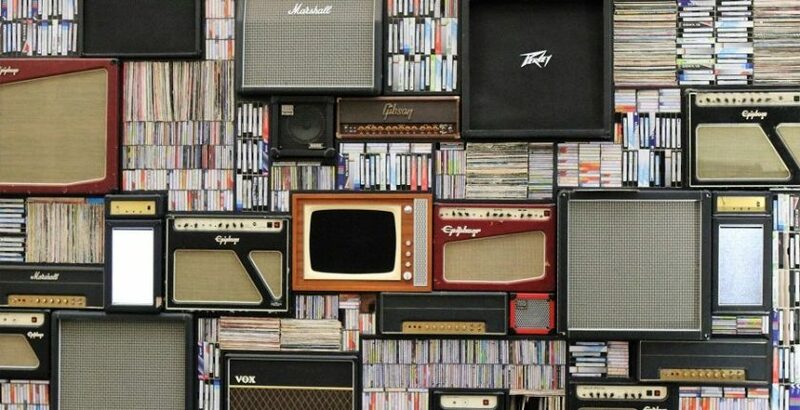 Now, according to a recent study from Horowitz Research, streaming drives higher engagement with content and advertisements. Despite streaming being one of the most engaging entertainment viewing mediums, there are some lagging behind others in the current commercial battlefield. This Comscore chart shows an interesting state. 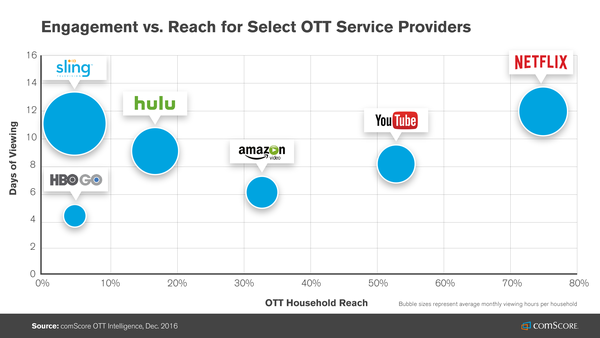 While Netflix reaches almost 80% of American households, regarding engagement, it is seriously lagging behind Sling TV. In the current climate, consumers are demanding to say the least, and when it comes to engagement, quality of experience (QoE) is a huge driver. For SVOD providers, quality of experience is critical: if your video streaming quality is poor or glitchy, people will bounce off, and it will have a detrimental effect on the perception of your brand, hindering progress, loyalty and of course, sales. A study from Akamai discovered that when watching a video uninterrupted by buffering, viewers were 10.4% more engaged in an emotional sense with higher-resolution video than with lower resolution. What’s really interesting is that in this particular study, emotional response was measured with galvanic skin response – this is based on the notion that skin resistance is affected by the state of sweat glands in the skin. And this insight is just the tip of the iceberg (there are many more studies that suggest QoE is vital to engagement). By investing your time, money, effort and expertise into providing excellent video quality, as well as the areas above, you’ll stand a real chance of turning heads, encouraging brand loyalty and enjoying the long-term success that you no doubt deserve. In the world of SVOD there’s everything to play for – and if you get your engagement right, the rest will follow, without a doubt.